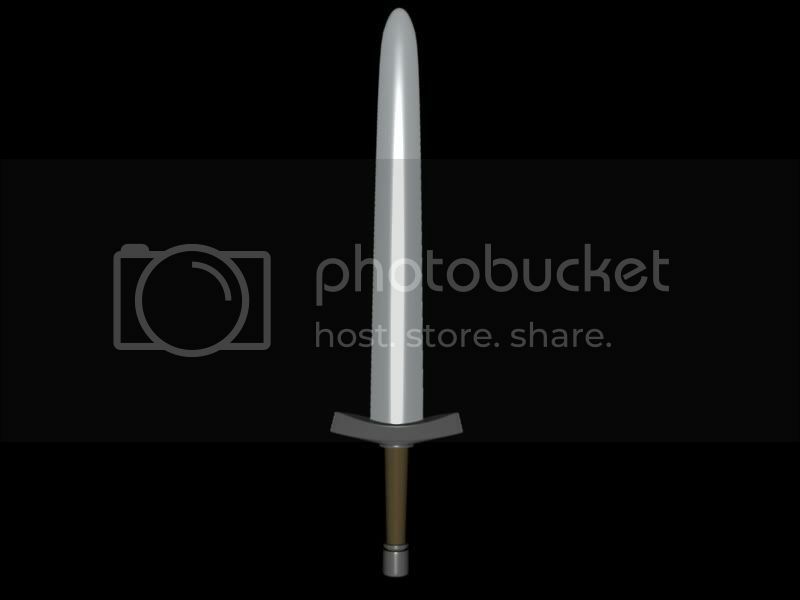 Hi, I’ve been working on this sword, and I’ve decided I’m pleased with the model, however, I am quite inexperienced when it comes to texturing. I’ve been looking around to see if I could find a good way to make the sword textures with the blender textures only, no look unfortunately. I hope that you can help me with it. When it comes to metal, lighting and reflection make up a big part of it’s look. At this point, you should take a look at some blender material repositories, see how they are set up, and do some experimenting. Also put your sword in some kind of scene, even a very simple one, so there is something to cause reflections on the metal surfaces.